As the next-to-last event that will decide the season’s NHRA Mello Yello world championships, plenty is at stake in Las Vegas at this event. Every run is important because a slip at this point could be worse than snake eyes at the other Strip’s craps tables. The venue is the same as in the spring, but the weather may be different, making for high drama at an event where world titles are on the line. How to Get There: From the Las Vegas Strip and downtown, follow Interstate 15 north to Speedway Boulevard (Exit 54). Follow signs to the main parking area. 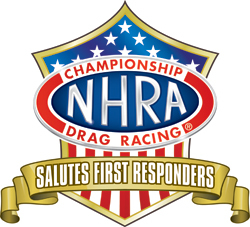 As part of the tribute, first responders will be eligible for discounted tickets to the NHRA Toyota Nationals through GovX. Click here to purchase.